Like’s last project “Sultangazi Simulation Center” is opened to serve the people of Sultangazi, the new developing district of Istanbul. Like has produced “3D Sultangazi Helicopter Tour Ride Film” and constructed 24 people capacity simulator. Visitors will be able to see both natural and historical beauties of the city and the new Works ,services made by Sultangazi Municipality in the movie in 4D environment created by LIKE. 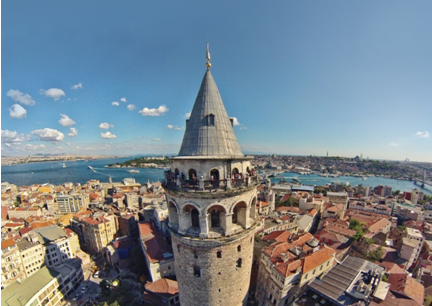 Istanbul Aquarium, the biggest thematic aquarium of the world, will present Like’s 4D Turkey Movie and 4D Istanbul Movie to it’s visitors starting July 2014. 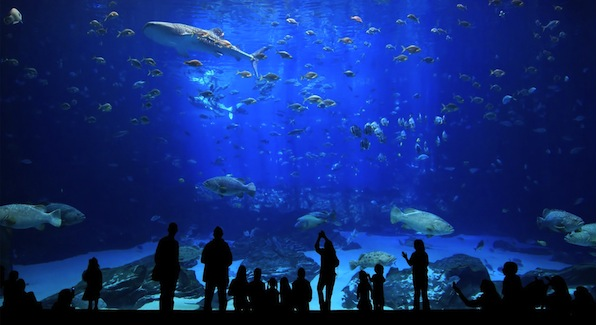 With nearly one million annual visitors, Istanbul Aquarium is also one of most popular touristic attractions in Istanbul. The “FLYRIDE” simulation room is located in the entrance hall of the aquarium. Visitors will be able to buy combo tickets, allowing them to watch Like’s movies and enter the aquarium. 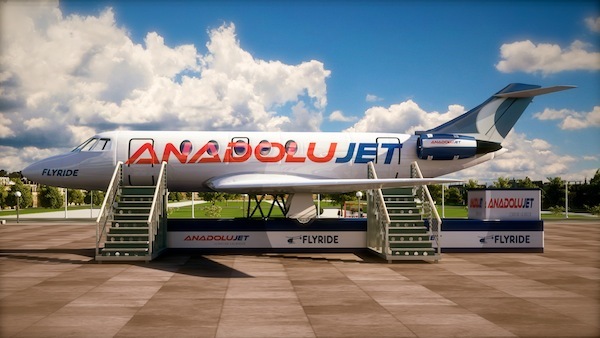 Our airplane journey simulator sponsored by Anadolu Jet, the domestic brand of Turkish Airlines, will start its tour in September. The model airplane simulator will visit 20 cities of Turkey, staying one month in each one. The interior design of the model airplane is consisting of real airplane components, seats, seatbelts, ceilings and sidewalls. 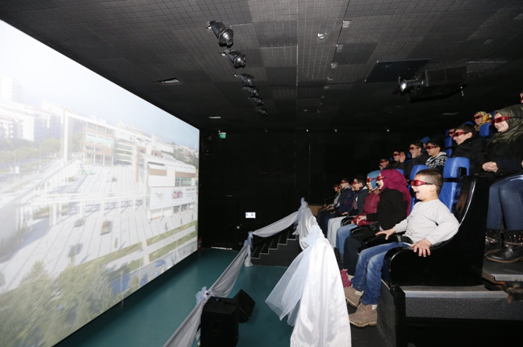 Our visitors will experience a 4D airplane journey over Turkey, enriched by some realistic effects.